WASHINGTON, May 31, 2016—Donald Trump says he is a champion of veterans. However, his record says otherwise. In 1991 and again in 2004 Trump actively lobbied to have disabled veteran vendors removed from Fifth Avenue, the location of Trump Tower, claiming their presence was detrimental and downgrading to the upscale neighborhood and commerce. The Fifth and Sixth Amendments to the U.S. Constitution both involve the right to counsel. While these rights sometimes overlap, there are several important differences between them. LONDON, May 26, 2016—The Bunyadi, a new nudist popup restaurant, is opening in London in June and there are already 38,600 people on the waiting list. This is impressive, since Bunyadi will only be open for three months, launching June 10, 2016. WASHINGTON, May 20, 2016—If there is a place in the entire world that is close to perfect, Milos Island in Greece is probably it. With over 80 beaches, amazing food, warm people, rich history and unbelievable natural beauty, Milos packs everything that is wonderful about Greece into one rugged little island on the Aegean Sea, at the southwestern edge of the Cyclades group. 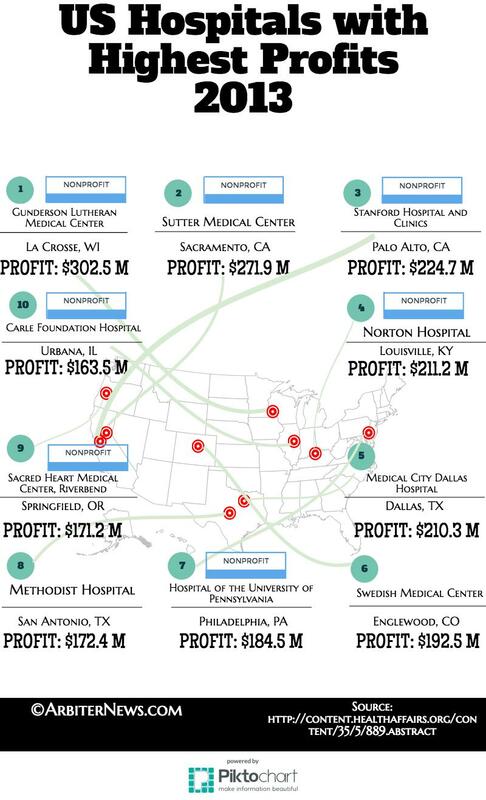 WASHINGTON, May 2, 2016—Seven of the 10 most profitable hospitals of 2013 in the U.S. are nonprofit, according to a new study by Johns Hopkins Bloomberg School of Public Health and Washington and Lee University, published in the current issue of Health Affairs. Knowing how many calories are in your food may not necessarily give you a clear idea of what and how much exercise it takes to burn them off. Recently, researchers and policy experts in the UK recently recommended that food labels contain activity equivalents, illustrating how much physical activity is required to use up the calories in food products. Looks like you woke up from your writing slumber.